A quick one: last Friday, Sparx released an update to its Enterprise Architect v14.0. When I installed it today I noticed that all of a sudden I could no longer use the Deployment Connector to connect an Artifact with an Execution Environment. However, the same morning it still worked. 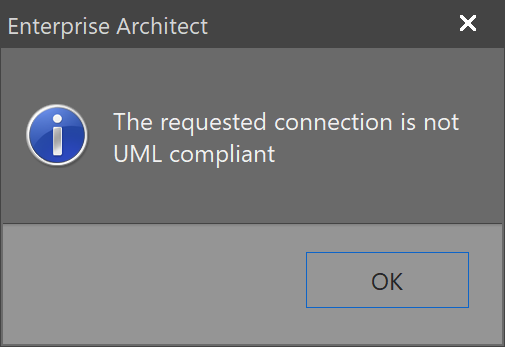 The error message I now get is: The requested connection is not UML compliant. So unless you are not using Deployment Diagrams I suggest you wait with the installation of the update. I opened a bug report at Sparx, but have not yet got a case id back. I will update it as soon as I get it. For further details see the corresponding section EA Version 14.0 Build 1421 does not allow to use Deployment Connector from Artifact to Execution Environment in my bug slayer post. [UPDATE] This has been fixed in v14.0.1422.